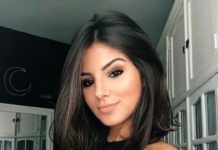 Whether your hair is naturally straight or you take time every morning to flat iron it into submission, there’s something about sleek hair that makes you feel sophisticated and put together. It’s also an incredibly versatile texture, looking chic with everything from short pixies to waist length locks. 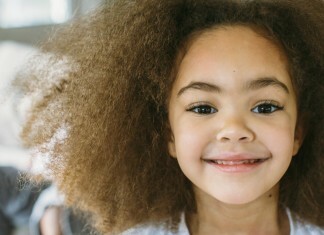 Of course with repeated heat or chemical straightening comes the potential for hair damage. 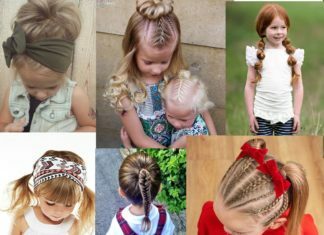 We’d recommend giving your hair an occasional break if it isn’t naturally pin straight…but for the other 364 days of the year, take a peek at our favorite straight hairstyles. This long hair in a brilliant walnut brunette is the perfect warm shade for any time of year. Styled sleek and with long layers, it’s a great choice for fuller cheeked women looking to lengthen the appearance of their face. If heat styling is starting to damage your ends, this haircut can be trimmed often without changing its overall look. 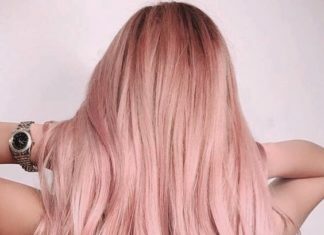 Blending auburn roots into lighter strawberry blonde ends, this is a perfect transitional colour for women with fair complexions. 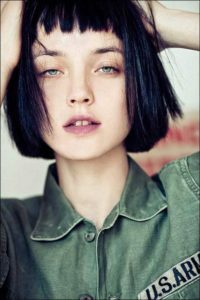 As for the cut, this lob with long layers is one of the trendiest looks around, in addition to being easy to style and maintain. Keira Knightley’s short hair here is worn in a fairly boy-inspired style that sweeps long straight pieces across the forehead. Try this cut if you’re trying to camouflage a larger forehead or balance out a heart shaped face. In layered shades of dirty blonde, Cara Delevingne’s long silky locks bring a new level of edge and sophistication to blonde hair. With hair this long, styling it straight can be time consuming, and we’d recommend using dry shampoo to extend your style and add days between washes. 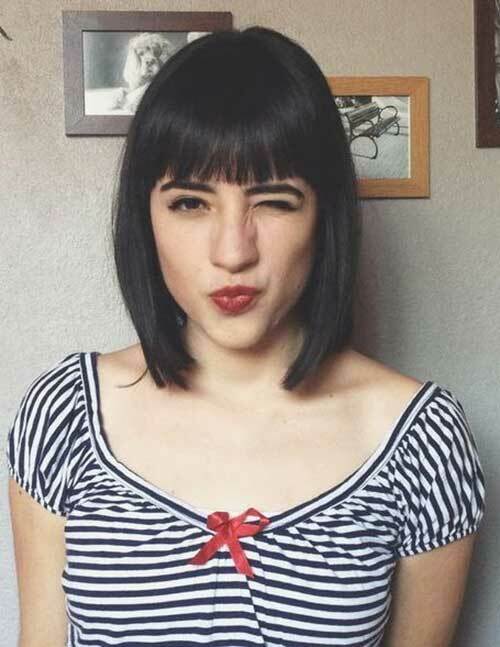 If you’re looking to dress up your straight bob style but you don’t have time for curls or a complicated updo, simply pinning back the top section will open up your face and add instant sophistication and maturity. The darkest of brunettes is a classic colour choice for the cooler months, especially in a straight style that echoes the simplicity of the single colour tone. 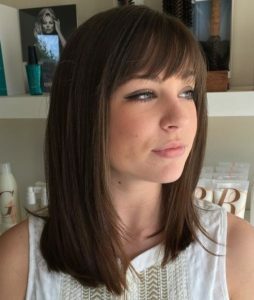 With its perfect medium length and subtle face framing layer, this is a cut looks good on almost anyone. These eye grazing bangs and long straight hair strike the perfect balance between sultry and laid back styles. 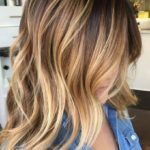 If you’re ready to add some flair to your natural mousey brunette, this honey ombre colour will bring instant warmth to your complexion. In one of the best hair makeovers in recent memory, Khloe Kardashian’s blunt blonde bob uses the perfect combination of cut and colour to enhance her features. We often see Khloe’s hair in a soft wave, making this stick-straight styling look even more perfectly polished. This modern version of a bowl cut or pageboy style does away with its predecessor’s harsh lines, but keeps the silhouette of straight hair falling from the crown of the head without a defined part. If your hair is naturally straight and fine, this cut styles itself, but hair with a wavy texture will take some work to smooth into place every morning. Carly Rae Jepsen likes to change up her hair fairly frequently, but we almost always see her sporting a bold bang. This thick fringe cuts straight across her face, creating a dramatic look that’s especially flattering on women with oblong faces. While this style is almost too long to be called a lob, it’s straight styling creates the undeniable bob silhouette in a longer version. The asymmetry in this cut could almost go unnoticed, making it a nice little detail you can play up or conceal depending on the day. Long, straight hair can sometimes hang flat against the face, leading to an unintentionally tired appearance. Pulling front sections back and pinning them behind the head is an incredibly easy way to show off your face without any major style effort, and is a must for showing off statement earrings or a high-necked dress. 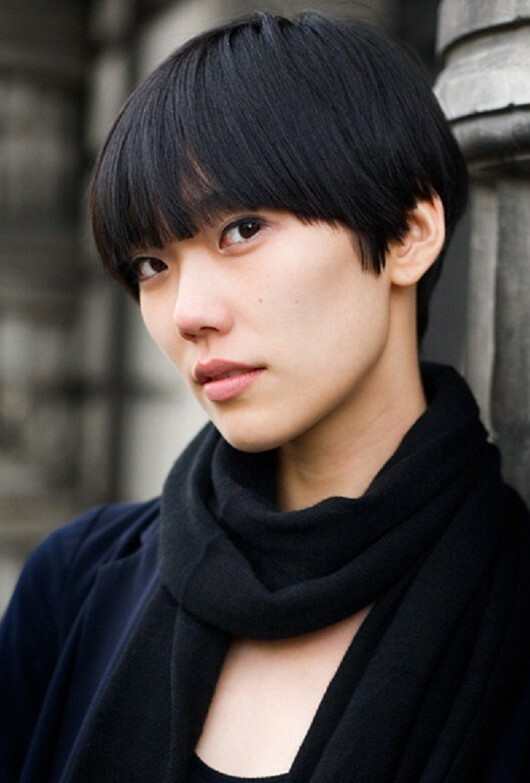 This long pixie cut with eye-grazing bangs is one of the best examples of how feminine a short style can be. Not only does it help emphasize the eyes, but beautiful bone structure in the cheeks and jaw are highlighted rather than hidden. Jennifer Aniston’s centre parted lob is never looking better than with straight styling that perfectly frames her face. If you’ve got a round or square shaped face, these long bangs help slim the face by minimizing a pronounced jawline or cheeks. With ultra long hair in a buttery blonde shade, Gwenyth Paltrow’s signature minimalist styling keeps the focus on her face and gown. To keep hair this long looking its best, we recommend investing in smoothing treatments that help hair look incredibly silky even without heat styling. 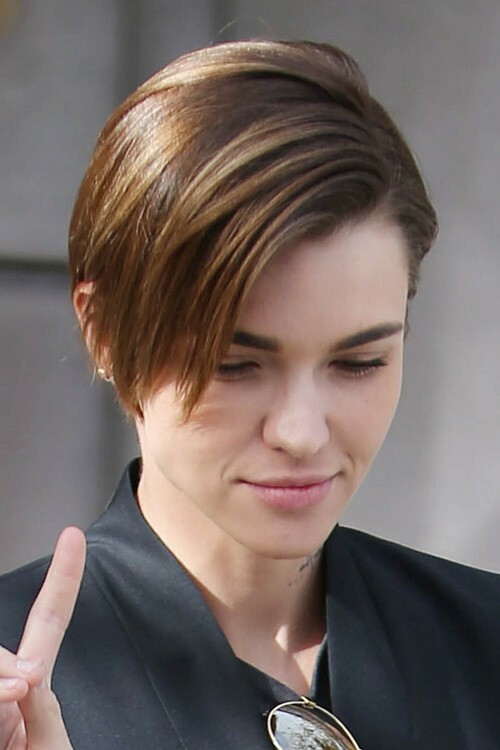 Leave it to androgynous beauty Ruby Rose to make a short cut look edgy and feminine all at once. 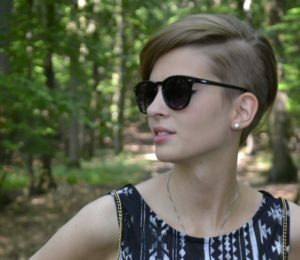 This style is a great option for anyone growing out a shorter pixie, or women with medium length hair looking to test out a shorter look. If you want to give your long, straight hair a quick update from daytime to evening, this twisted bang headband takes only minutes to pull off, and is easy to touch up as needed. To help keep hair in place, apply a tiny amount of pomade to fingers before twisting bangs into place. If you’re getting bored of your long, straight hair, chopping it to a bob with bangs can make a dramatic difference in your look without putting too much strain on your overall styling ritual. While the bangs do need a little extra attention, hair that’s naturally straight makes sporting a fringe less hassle. When a pinned back bang won’t quite do the trick, try this half up style with major red carpet appeal. 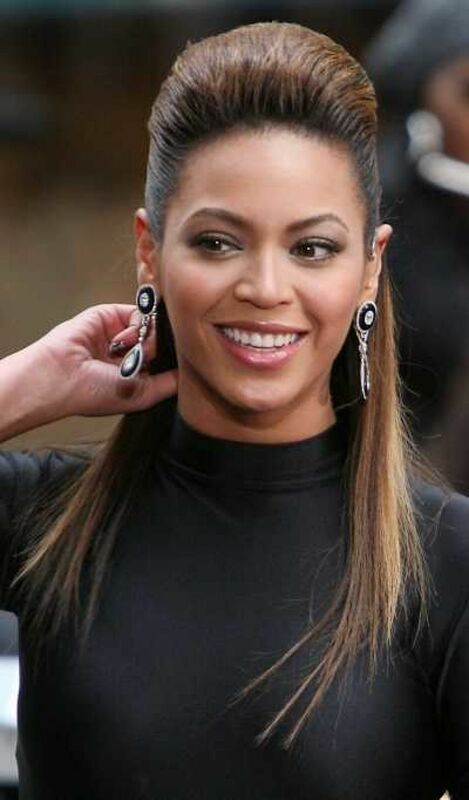 Best attempted on long, straight hair without any shorter layers, teasing and texturizing spray can help you get a bump as high as Beyonce’s (or you can cheat and use a Bumpit, we won’t tell). Whether you wear it pinned behind your ears or let hair fall across the sides of your face, this short cut will surprise you with its feminine versatility. Ask your stylist for texturized ends to keep hair at the nape of your neck from looking bulky. 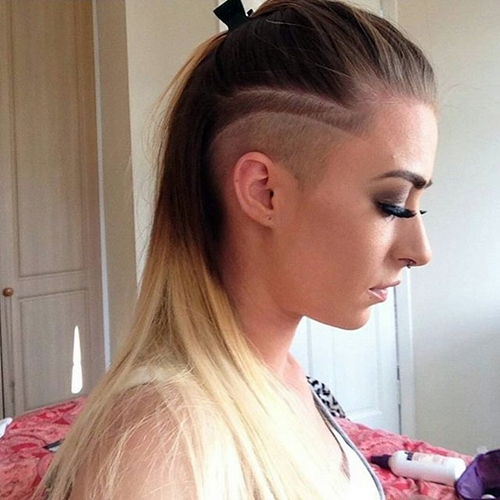 To add some edge and interest to your long hair, try this side undercut. The line details and varying lengths of hair make this bold style look artistic and crisp. Rita Ora’s platinum pixie is about as glamorous as short hair gets, especially when paired with dramatic smoky eyes and crystal embellished accessories. In this sweet style, bangs are slightly parted at the centre, creating a softer look than when they fall straight across the eyes. This style puts the “chic” in mermaid chic. 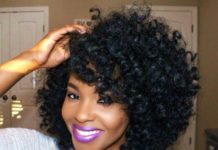 We often see unnatural hair colours styled in waves or curls, which helps to accentuate multi-tonal hues or mask any flaws or gaps in the colouring. 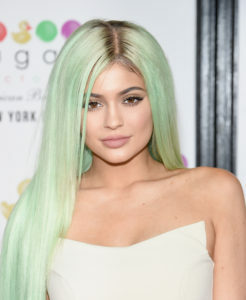 Kylie Jenner’s pin straight locks in a pastel sea foam hue draw extra attention to the flawless and dreamy colour, offset only by a strip of intentionally darker roots. 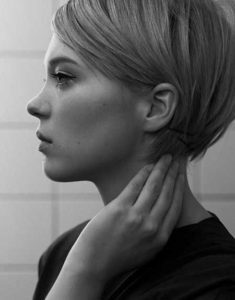 For women with thick, straight hair, shaving the side of a pixie style has the double effect of looking edgy and trendy, and making the cut easier to style. 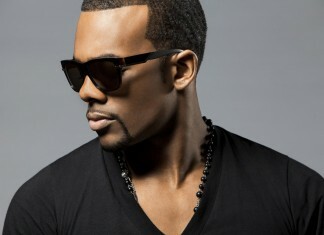 Sweep hair to one side for a dramatic deep parted look, or push it all back for a new take on slicked back men’s styles. With increasing length from back to front, this angled cut keeps hair from looking bulky around the neck while creating a sleek silhouette. To add some raw edge to your straight, blunt bob, pair it with short and choppy bangs. This style leaves nothing to hide behind and makes your eyes look brighter, making it the perfect natural facelift. Wearing her signature style, Ariana Grande makes the ultra high ponytail work with street style or at red carpet events. While she sometimes adds some curls to the mix, we love this look best when her long locks are styled straight. A sophisticated style that won’t look out of place in any professional environment, this medium cut keeps it simple with long layers and brow length bangs that frame the face without looking harsh or edgy. 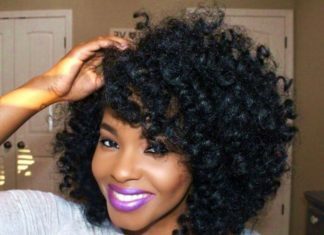 Ombre looks great with waves and curls, but don’t be afraid to show off your new colour with a straight style, which will come across as a bolder choice.